Attractive combo of bright green & dark purple soft leaves. Delicate herb flavor. 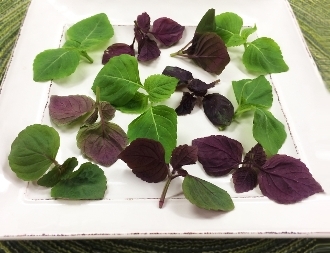 This Japanese herb is related to the mint family. Add to stir fry, lightly dress and create a fancy side salad, or garnish sushi plates.